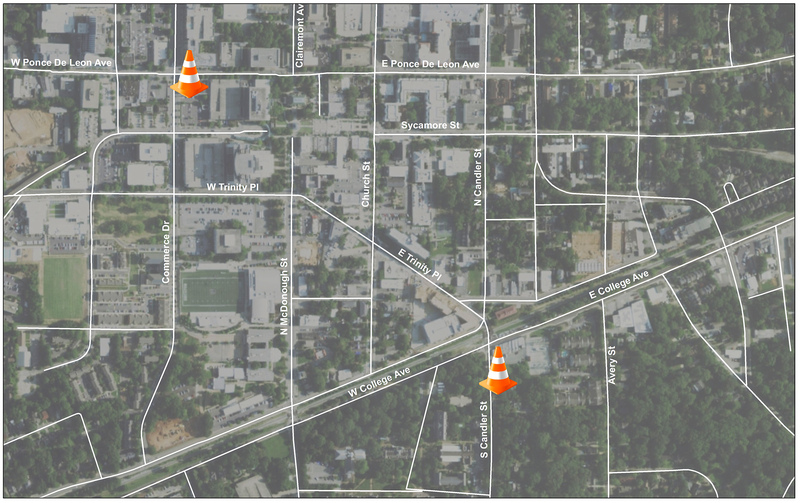 Tomorrow, February 3, city crews will begin repairing the sidewalk along S. Candler Street near E. College Avenue; continuing along West Ponce De Leon Avenue at Commerce Drive on Monday, February 5. There will be a temporary lane shift during this time. No lane closures are expected, though drivers may experience brief delays. Use caution when traveling through these areas. Project sites shown below. Click for larger view.